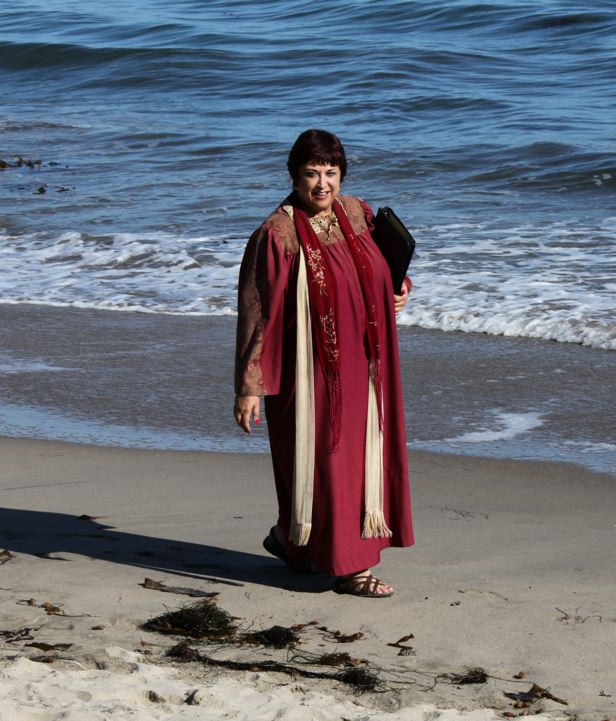 Santa Barbara, California Reverend Terri Cooper, M.A., LMFT has been a non-denominational Minister and Wedding Officiant performing religious, spiritual, secular and interfaith wedding ceremonies in the Santa Barbara and Tri-county area for more than 18 years. Reverend Terri is also a California state-licensed Marriage and Family Therapist having provided both pre-marital, marital, and couples counseling for more than 35 years. Santa Barbara Wedding/Minister, Rev. Terri, creates beautiful wedding ceremonies that are distinctly your own—ones you will love and cherish for a lifetime. For that most special day, rest assured that your wedding ceremony will reflect exactly the mood and words that speak your heart's message to your beloved. Rev. Terri takes great pride and pleasure in creating the kind of personal, joyful, inspired wedding ceremony that will make this sacred event a treasured memory for you and your loved ones. As a skilled creative writer, seasoned Santa Barbara Wedding Officiant/Minister licensed Marriage and Family Therapist, and public speaker, Rev. Terri has the heart and experience to provide you with the ceremony of your dreams. Whether it is your desire to elope to beautiful Santa Barbara or are planning a wedding with 200 of your closest family and friends, each ceremony I perform receives the same care and attention.